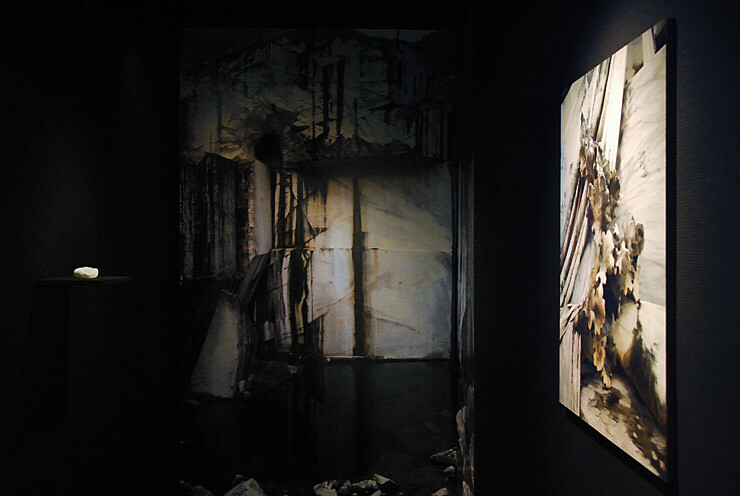 The exhibition is supported by The Copenhagen Art Council. 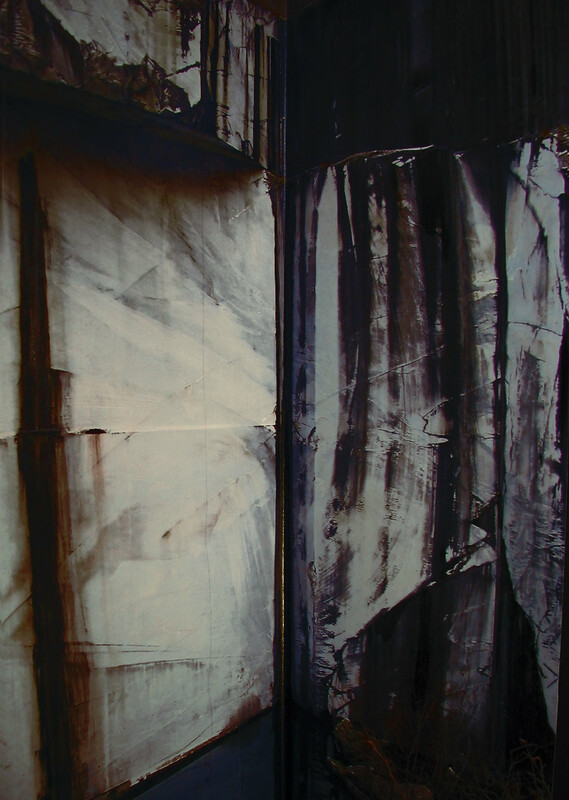 Birgitte Thorlacius' graphic prints are made at the Danish Art Workshops. 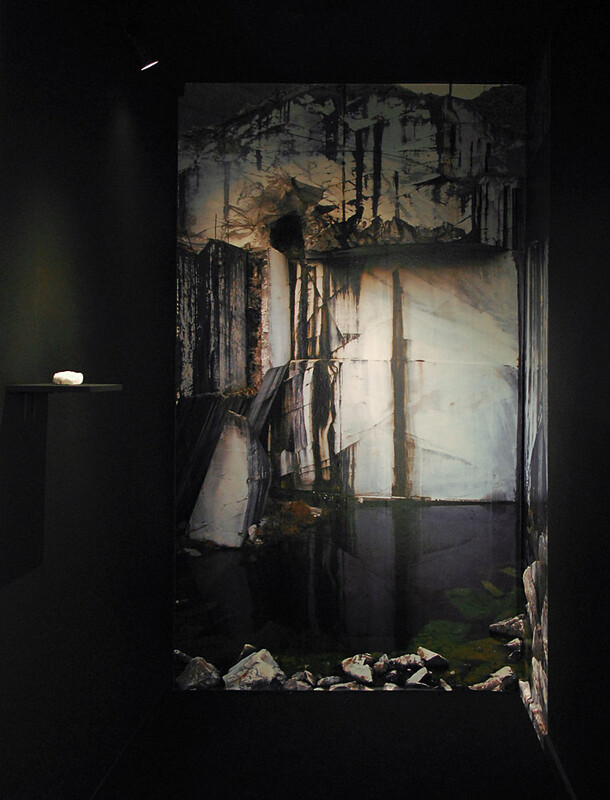 Marble is the starting point of Anne Skole Overgaard's works at the exhibition. She partly lives in Italy and is considering whether it is possible for herself to become Italian. 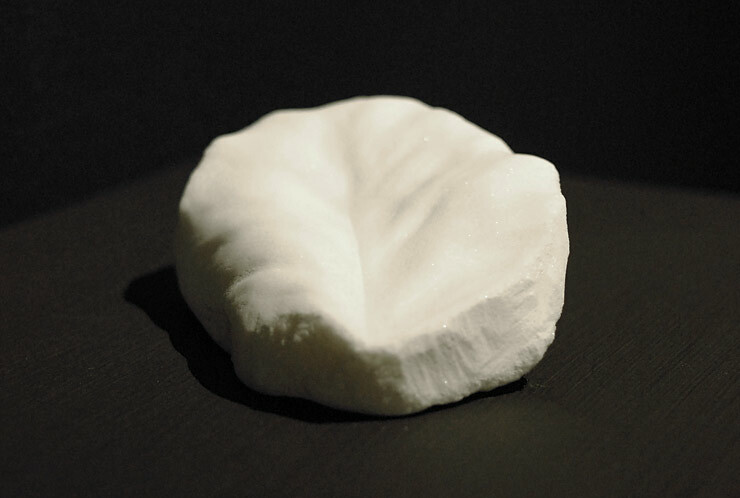 She made a small marble sculpture of a beech leaf, as an attempt at a very small monument for the Danish cultural background she partly has been formed by. 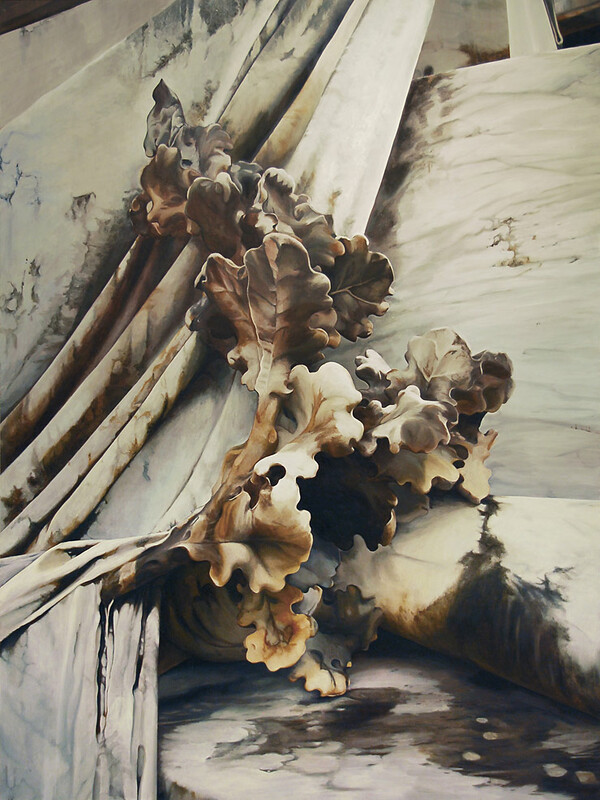 She also painted a draped flag and a twig of oak leaves from a marble statue in Carrara in Italy. Here they carved out marble from the mountains for centuries and a photo wallpaper shows this landscape full of holes, shaped along with the mining of the marble. When Italy was united around 1861 they said; "We have made Italy: Now we must make Italians" - and that was attempted by erecting national monuments in each town, like the statue in Carrara.